Greg Young of Henzells Central Sunshine Coast and Horse Property said the Spanner Rd property Serenity was listed at $2.75 million. After nationwide interest during an extensive marketing campaign it was sold to a local buyer. "It is one of the most exceptional properties," Mr Young said. "There are very few like it in Australia. It would have to be the best property I have marketed in my 32 years in the industry." Serenity is a purpose-built horse property with two-road frontage. There are 3000 posts and about 5.2km of fencing. All paddocks and yards have been floodlit for 24-hour surveillance. 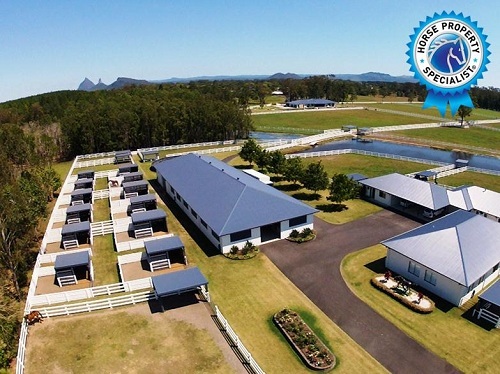 Mr Young said that in the past year he had travelled throughout Tamworth and the Hunter Valley in New South Wales and all over Victoria promoting the Sunshine Coast's horse properties. A 12-hectare (30-acre) horse property at Dulong has also gone under contract with Mr Young. Listed at $1.35 million, it was sold to local interests. Mr Young said there was a demand for such properties but they had to be of quality to attract the right buyers.